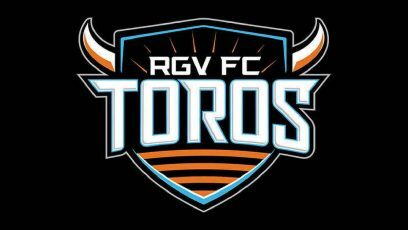 EDINBURG — RGV FC came away from Saturday’s game against LA Galaxy II with a point in the standings, but Kyle Murphy said the Toros locker room was a very quiet place after the match. RGV FC outshot LA 11-5 and held 65.4 percent of possession compared to the Galaxy’s 34.6 percent, but the advantages amounted only to a 1-1 draw at H-E-B Park. After Murphy scored RGV FC’s goal in the 36th minute, Justin Dhillon netted an equalizer in the 72nd. The score was LA Galaxy II’s only on-target shot in the match. “When you’re in such control of the game, winning 1-0, and then to give up a goal to a team like that, they didn’t deserve crap,” RGV FC right back Kai Greene said. Greene said he takes “full responsibility” for allowing LA’s breakthrough, which ended a run of 290 scoreless minutes by RGV FC’s defense. After an RGV FC free kick, LA Galaxy keeper Clement Diop made a long throw to his left. As Ethan Zubak took possession for the Galaxy, Greene charged forward to try to break up the attack near midfield. Greene got his right foot to the ball, but his clearance attempt deflected off Zubak and toward RGV FC’s goal. Greene collided with Zubak and momentarily stumbled, allowing Zubak to move in uncontested down the left wing. He dribbled to about 12 yards from goal and found Dhillon in the middle of the penalty box for an easy finish. Murphy said he thought RGV FC had too many players forward for the free kick given the game situation, and Gonzalez pointed to the Toros’ ability to handle those transitional moments. Gonzalez said Saturday’s game had no rhythm, partially due to the official creating a “hectic environment” with a large number of whistles. The choppiness was also a result of LA Galaxy’s consistent efforts to try to attack through deep passes rather than slowly building. On top of the lopsided possession stats, RGV FC connected on 374 passes for the game at 80.7 percent accuracy compared to LA’s 199 passes at 60.3 percent accuracy. Kyle Murphy scored the Toros’ lone goal during the 36th minute. Emilio Garcia took control of the ball on the right wing and sent it across the pitch to Murphy, who was standing on the left side of the penalty box. Murphy took a couple of touches toward the middle of the field before firing the ball into the bottom-left corner of the net with his right foot from about 18 yards. Murphy also felt as though RGV FC “dominated the majority of the game.” The Toros nearly found a game-winner in the 84th minute, when Ruben Luna’s shot rolled just wide. RGV FC’s advantage only grew when LA’s Alejandro Covarrubias was sent off with his second yellow card in the 88th minute. Eric Bird came closest to scoring, unable to connect on a volley attempt from point-blank range during stoppage time.